The original Hammond Organ Company was started by Laurens Hammond in 1936, though Hammond actually sold his first organ in 1935. The original company ceased production in the mid-1980s, but is now owned by a Japanese company called Suzuki Musical Instruments, LTD, known in the United States as Hammond Suzuki USA. 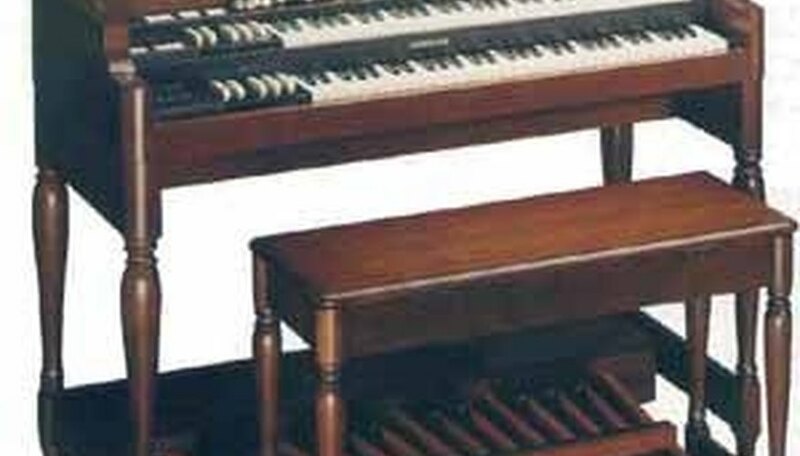 Over the years, their have been many companies who have produced their version of a Hammond organ. Because of this, buyers need to be sure they are getting an authentic product. There are a few ways to do this. Identify that your organ falls into one of these four categories: the concert model, which consists of two rows of 61 keys and 32 pedals, or three rows of 61 keys and 32 pedals (these pedals will be long and concave); the console model consists of two rows of 61 keys and 25 pedals (these pedals will be flat and radiating); the spinet model has two rows of 44 keys and 12 short pedals, or will have these options with 13 short pedals, two rows of 44 keys, two rows of 37 keys, two rows of 49 keys or two rows of 61 keys (the model with the 12 pedals is only found on very early models); finally, the single or one row of keys Model has one row of 37 keys or one row of 44 keys. Look inside the organ for the genuine Hammond name plate and serial number. Remove the back of the organ with the screwdriver if you have a console model such as a B3. Some models with have the name plate on the back of the organ, either on the right- or left-hand corners. Look under the keyboard of models made after 1970. The name plate will be located on the left or right side under the keyboard, depending on the model. Write down the serial number for future reference. This will be helpful should you ever need to call in a repair and do not want to move the organ again. Residing in Michigan, Chrystal Mahan is a graduate of Baker College with a bachelor's degree in business and accounting. Currently pursuing a Master of Business Administration, her education also includes liberal arts studies at the University of Oklahoma. Mahan has been writing professionally since 2005, working for various websites and with private clients. How Do I Know What Year My Lowrey Organ Is?